6.15 a.m., 15 July 2000, Kailahun, Sierra Leone, West Africa. A loud explosion shattered the early morning silence in this remote and backward eastern corner of the country covered with tropical equatorial forest, as six Indian para commandos detonated an explosive charge, breaching the wall of the military garrison. Through the breach came a convoy of Ashok Leyland military trucks and Mahindra jeeps, all painted white with ‘UN’ stenciled in blue on both sides. In the convoy were more than 200 soldiers of the Indian army’s Gorkha battalion, trying to escape from the garrison at Kailahun. Rebels from the Revolutionary United Front (RUF), which had been waging civil war in Sierra Leone for close to a decade, had laid siege to the garrison for seventy-five days and, earlier that morning, Indian para commandos had landed in British Chinook helicopters to help the Gorkhas escape. The trucks and jeeps of the convoy were being driven by Gorkha soldiers, infamous in the Indian army for their poor driving skills. But desperate times call for desperate measures. As the para commandos led the convoy out of the garrison, the vehicles got bogged down on the tracks, slushy after a heavy overnight downpour. The drivers pressed the accelerators, shifted to four-by-four gear drive, but still struggled to free the wheels from the marshy dirt tracks. There was no choice but for the soldiers to get down and push the trucks through the boggy areas. Meanwhile, they could hear the rebels gaining ground on them. 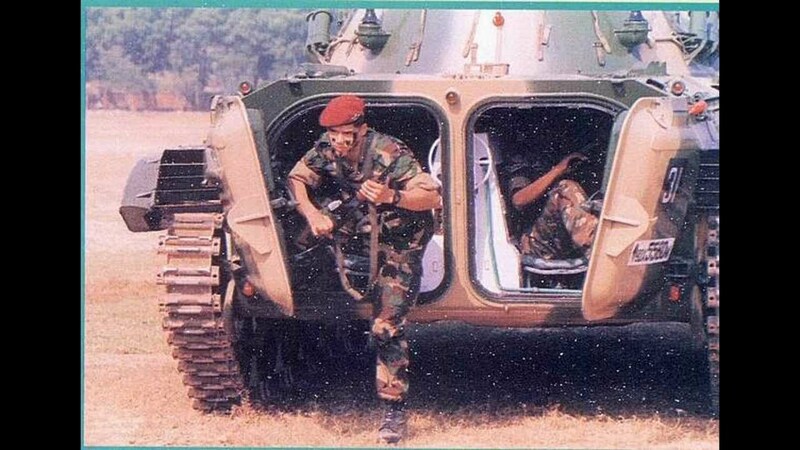 Indian soldiers had been deployed in Sierra Leone in 1999, as part of a UN peacekeeping mission, along with soldiers from more than a dozen other countries. Major General V.K. Jetley of the Indian army had been chosen to head the peacekeeping force in Sierra Leone, which had been torn apart by civil war since 1991. But shortly after the deployment, 223 Gorkha soldiers and eleven military observers of various nationalities were taken captive and held at the peacekeepers’ Kailahun garrison by rebel forces. After diplomatic negotiations failed to secure their release, Jetley chose the military option. The helicopters in which the para commandos landed for the rescue operation were used to evacuate the military observers and a few ailing Gorkhas, while the rest of the Indian soldiers had to fight their way out in the trucks and jeeps stationed at their garrison. By 7.50 a.m., the escape convoy had linked up with another team of para commandos at the Kailahun town centre. That team was led by Major Ajoy Mukherjee. The entire party was well secured, sandwiched between two groups of para commandos as they started their journey back to safety. Mukherjee was at the rear end of the column, guarding the most vulnerable point of the convoy. But progress was slow because the vehicles frequently got bogged down in the slushy earth. The rebels, in the Toyota trucks that rebels around the world seem to favour, were in hot pursuit of the escaping Gorkhas and soon caught up with the column and started firing. Two para commandos were injured when a shoulder-fired rocket hit a tree, spraying them with splinters. Mukherjee ordered his men to trigger the booby traps and improvised explosive devices (IEDs) laid by them earlier that morning, to delay and deter the rebels. The para commandos simultaneously brought down heavy fire from medium machine guns and rocket launchers on to the rebels. Mukherjee was particularly impressed with the damage caused by the airburst of the Karl Gustav 84mm rocket launcher. In an airburst, the rocket explodes in mid-air, above the target, instead of detonating after hitting it. With thick forest on both sides of the track, and the rebels at their heels, firing indiscriminately from their Toyota trucks, the Karl Gustavs came in handy. Mukherjee recounts, ‘The airburst over the truck saw the rebels fall out of the vehicle like broken reeds in a storm.’ For nearly forty-five minutes, the para commandos fought the rebels and tried to keep moving forward. They kept looking skyward for support, scouting for the Indian Air Force’s Mi-35 attack helicopters up there. Only Mukherjee had a radio set that could communicate with the IAF helicopters. The Indian helicopters, unlike the British Chinooks, had been delayed because they could not fly in bad weather. At around 9.30 a.m., the weather improved and the IAF pilot asked Mukherjee: ‘Mukho, tukahaanhai. Hum aarahehain. [Where are you? We are coming. ]’ Mukherjee responded tetchily, ‘Abhitakkahaanthay? [Where were you till now? ]’ The para commandos had been on the road for three hours, leading the Gurkha soldiers to safety while being fired on and chased by the rebels. 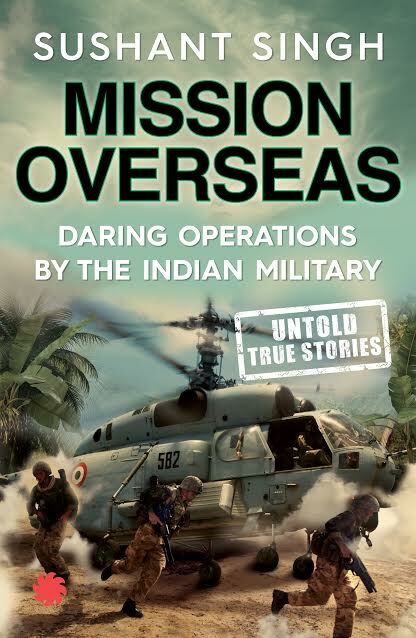 Mission Overseas: Daring Operations by the Indian Military by Sushant Singh is available in bookstores and on Juggernaut. This excerpt, from the third section of the book (Operation Khukri) is in exclusive arrangement with Livefist.